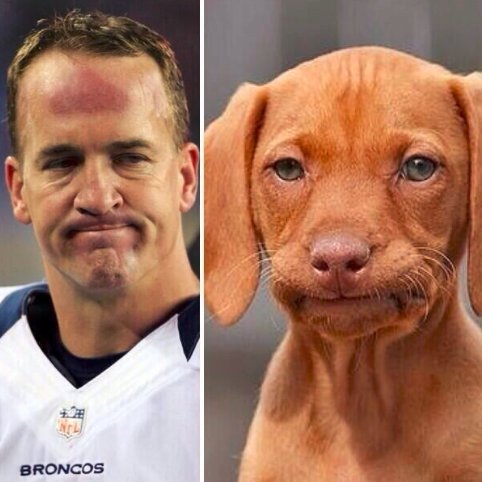 It was truly sad seeing Peyton Manning go down the embarrassing way he did. The Seahawks really showed no mercy. I read somewhere that the Super Bowl was a plot twist because the entire game was a Snickers commercial showing that Peyton Manning is not himself when he’s hungry. Sad 😦 Well if that was the case, wouldn’t he have been replaced by Robin Williams or Joe Pesci? I think Peyton’s hungry form would be Animal.